As the holiday season quickly approached, we reached out to our friends at Family Promise to figure out how we could help. Our friend Kelsy told us about the Christmas Store that they provide to their families every Christmas. Parents are able to pick out their own gifts for their kids, be the hero in their children’s lives, and have pride and dignity about the fact that they purchased gifts for their kids on their own. This year’s store will be held at Cornerstone Church Heritage Hill on December 12. 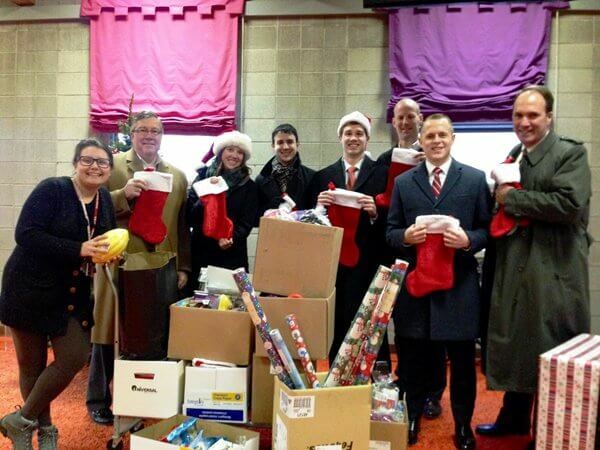 The Legacy Staff stepped up to provide over 60 stockings and stocking stuffers for donation to the store. Bob, Laura, Gavin, Brian, Tom, Hunter, and Bill played elves and delivered to the church where the gifts will be organized by gender and age group for parents to pick from for their children. For more information on the Family Promise Christmas Store and how you can still help, please click here.